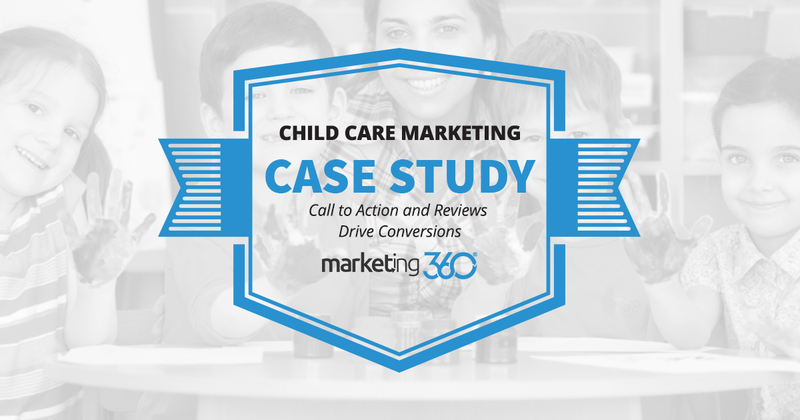 This Marketing 360® child care client has the perfect website layout to drive conversions. Here’s the breakdown. 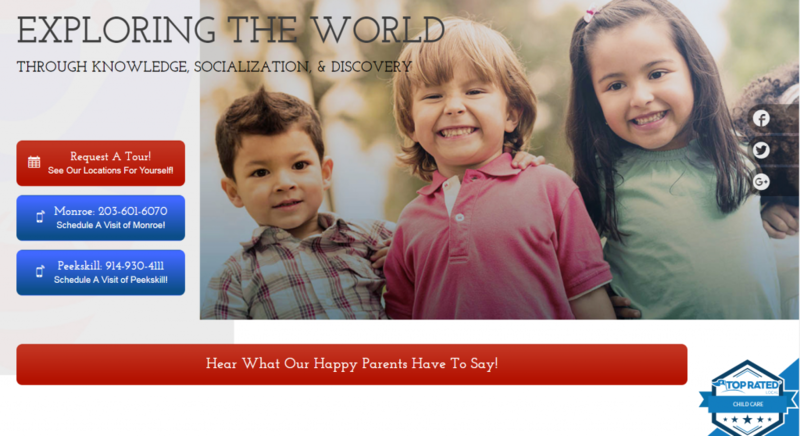 If you were a parent looking for a preschool/daycare for your kids, what would you like to accomplish by visiting school’s website? You’d probably like to get a sense of the services, curriculum, and facility. Perhaps a little information on the business history and the staff. That information may – or may not – motivate you to act. If things look like they might be a fit, you’ll want some evidence that this place is as good as it claims. You want to hear from the parents who take their kids there. Then, if the site has inspired confidence and trust, you’ll want to have a look for yourself. You’ll schedule a tour. 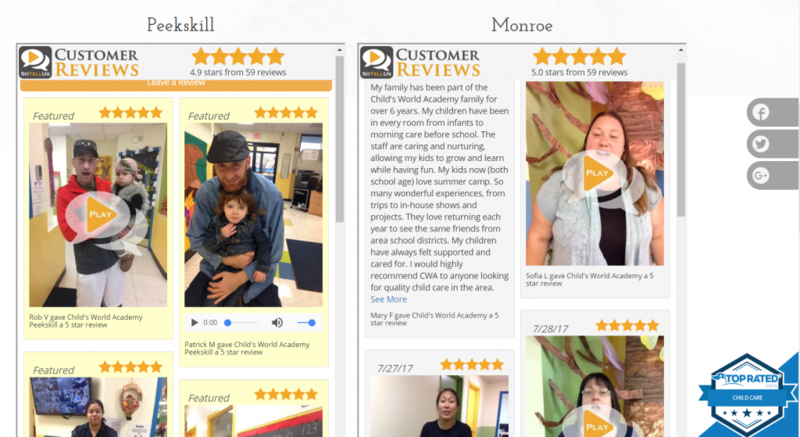 How well a child care service website understands these needs – and meets them with the right content – determines how well it converts. Here’s a site developed on UXI® that nails it. Effective business websites get to the point. They front load the most important content. This isn’t an overwhelming dose of content (which is a good thing), yet it does a great deal to meet the needs of a parent visitor. Mainly, it gets two vital elements in front of visitors. First, the calls to action are expertly placed and designed. The final goal of touring the school is in the most important place on the site. The colors stand out, with options to fill a form or click to call either location. That’s conversion rate optimization 101. Next, there is a link (which stands out) for people to check reviews with a clear, enticing call to action. Every business needs to engender trust with their content. Doubt is a lead-generation killer. But this is even more true of child care services. After all, you’re asking parents to trust you with what’s most valuable in their lives. You can say everything possible about yourself to earn people’s trust, but you’ll never really get there unless the people you serve offer confirmation. This client is exemplary when it comes to using reviews. They don’t just get comments from people only identified by their first name. They go farther than having a picture of the parent accompanied by vague compliments. In addition, the Top Rated Local widget links to their review profile, where they have an excellent rating score and more Google and Facebook reviews. We can’t overstate the impact this content has on conversions. It’s really the backbone of the site, and the authenticity that comes through in the videos really convinces you this is a business you can trust. 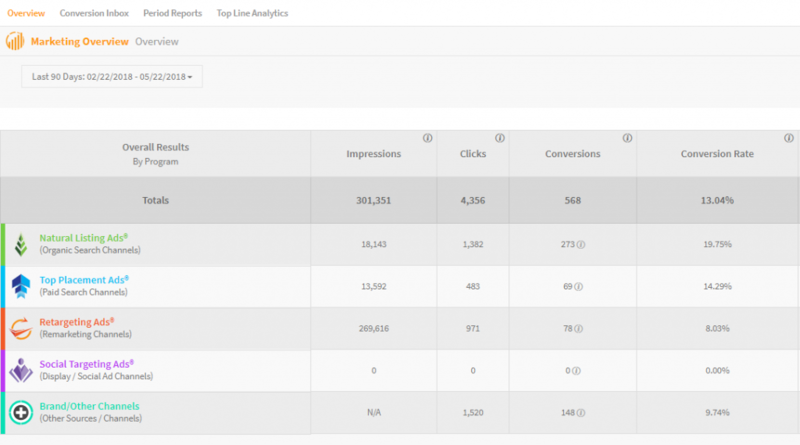 Those are excellent conversion rates across all channels they’re using. This site was created by the team at Marketing 360® to convert visitors into leads. We set out with that goal, and (as often happens when you plan for the results you target) we met it. There are a lot of happy kids and parents who are glad we did.